Established in the year 1999, we "Royal Plastics" are one of the leading manufacturer and wholesaler of PVC Box, PVC Jar, PET Box and PVC Window Film. For us, the top line and primary concern is a net consequence of our steady try to guarantee that each customer, extensive or little, is treated with reasonable morals, superb correspondence, consistent upgrades and above all giving the customers, what they need, when they need, how they need and in particular at to a great degree financially savvy costs. So as to give a diagram about the nature of our items, we additionally have the alternative of free inspecting approach. Under the supervision of our mentor "Mr. Neethirajan R", we have gained a huge expertise in this domain. We have been able to carve a great position in the market by offering clients superior quality products at the most economical rates. Our products are manufactured using the best grade material with the help of our professionals. 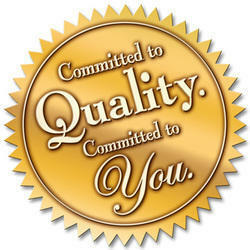 In this competitive world, keeping the quality in mind our company is raging towards its goal. Customers requirements and suggestions were kept close to our ears to achieve quality and wisdom. Keeping in mind the same, we begin our quality control at the very first stage that involves procurement of the raw material. Our quality auditing team ensures that each and every material used during the production process is stringently sourced from certified vendors of the industry. Further, the team assures that the range soon after its manufacturing undergoes stringent checks so as to detect even a minute defect existing in our product. It is due to their strict adherence to total quality management policies that we have been able to gain the trust and confidence of the clients.